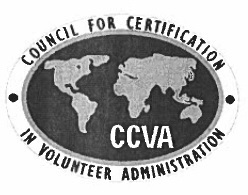 The “Certified in Volunteer Administration” (CVA) credential is offered for practitioners in volunteer resources management. Ready to take the CVA Exam this April? Online testing and best wishes to our CVA candidates. This is a final reminder (and friendly nudge!) that the application deadline to sit for the CVA exam next month is March 1, 2019. If you’re ready to get started, be sure to download the certification handbook as well as the application form if you haven’t already. We recently acquired a new testing vendor to assist in the online remote testing process. All CVA candidates will test online via remote proctor and details are being provided to you individually via email from execdir@cvacert.org. You can review the steps you must take for application and payment in the 2019 CVA Certification Handbook found on our website. For the upcoming April exam window, candidates will receive login details with account information so that accounts/passwords can be created. This communication will come directly from execdir@cvacert.org. As your new CCVA Board Chair (2019, 2020), I am pleased to announce the appointment of our executive committee and the election of three new professionals to the Board of Directors. Each new executive committee member will serve a two-year term and new members at large will serve a three-year term. 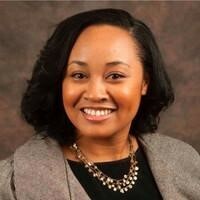 New board members include: Faiza Venzant, Julie Gallanty, and Amber McMillan. Executive Committee members include: Mei Cobb (Vice Chair), Tammy Holland (Secretary), and Christi Brown (Treasurer). The Board provides leadership for carrying out the council’s mission: To advance excellence in volunteer administration by delivering professional certification and advocating ethical practice. These individuals bring a wealth of experience and expertise in their fields and will be tremendous assets to our organization as we further our vision of: A world where competent, passionate leaders effectively engage volunteers. We also hope that you will be talking up CVA certification with your colleagues who may not yet know about CVA. Our Marketing Toolbox offers you everything you need to help promote CVA certification to your colleagues, including PowerPoint slides, table signs, fact sheets, sample TWEETS, and ideas for local promotion. Have a question? Your best point of contact is Michele Matter, Interim Executive Director. She can be reached at (412) 901-9598 or execdir@cvacert.org. If there’s anything else I can do to help, be sure to let me know. Words of inspiration from your fellow practitioners. Many of our board members are CVA certified and are more than happy to answer any questions you might have about this process.